When one door closes, another one opens. That is the case for the CW’s upcoming series, Legacies. As a spinoff and the next installment in the Vampire Diaries universe, we follow Klaus and Hayley’s daughter at the Salvatore School for the Young and the Gifted (formally the Salvatore Boarding House). 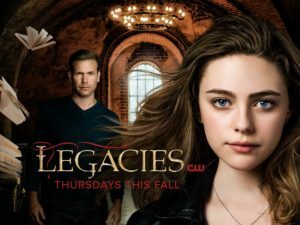 It’s here that Klaus Mikaelson’s daughter, 17-year-old Hope Mikaelson; Alaric Saltzman’s twins, Lizzie and Josie Saltzman; and other young adults — including political scion MG and the mysterious Landon Kirby — come of age in the most unconventional way possible, nurtured to be their best selves…in spite of their worst impulses. Will these young witches, vampires and werewolves become the heroes they want to be — or the villains they were born to be? As they fight to protect their secret, their town of Mystic Falls and eventually the world, they will have to rely on ancient folklore and tales to learn how to battle their far-reaching enemies. At this year’s San Diego Comic Con, we got the opportunity to sit down with both the showrunner, Julie Plec, and the leading legacy herself, Danielle Rose Russell (Hope Mikaelson) to ask all things TVD Universe, how this spinoff differs from those previous, and more! Lastly, it’s been teased that Legacies will feature new species and not just vampires, werewolves, witches, and the like. Obviously, nothing has been revealed as to what new species will be portrayed, but Plec gave an interesting insight as to how the writers and herself plan the development of creating said new species. They’ve established a pattern throughout the years to ‘identify’, ‘survive,’ and finally ‘vanquish.’ “With that can come a whole set of rules and new information that they’ve got to uncover,” she says. When Danielle first booked the role of Hope, she had no idea the power and love of the TVD fandom. It didn’t take her long to realize how iconic and special this character was for so many people. What is most interesting about Hope being the lead in Legacies, is getting to have her portrayed as something other than the untouchable daughter. “Now you kind of get to see her as a person, and parts of her that were never explored,” says Russell. We’ll see her hobbies, her mechanisms, and obviously how she’ll interact with people her own age (Danielle is rooting for her to get a female friend!). And if you’re like me, and are interested in what sort of other TVD/Originals cameos will make an appearance, you’re in luck! It’s been confirmed, and Danielle can attest to this, that Sheriff Donovan (Zach Roerig) will be back on the show in some way! But of course that does not mean that you need to watch both previous shows to sink your teeth into Legacies. It holds its own identity just as its predecessors. 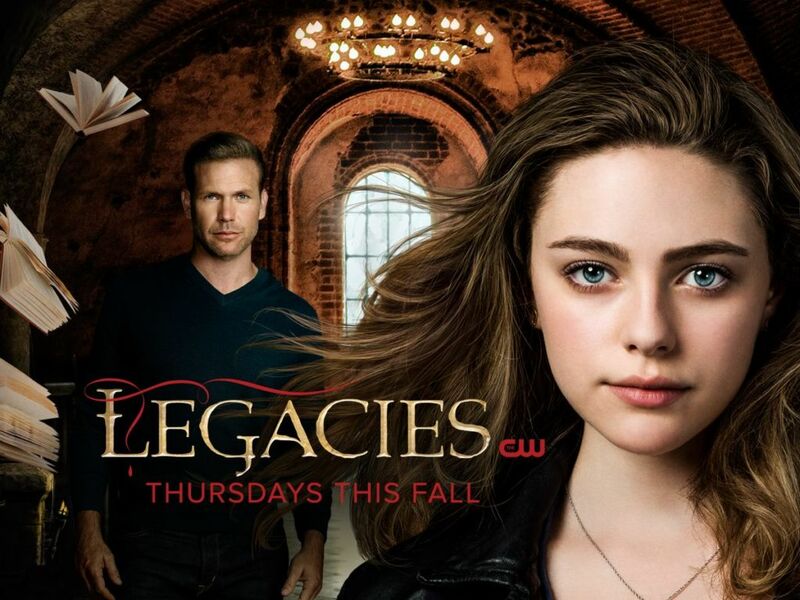 What are you most looking forward to in Legacies? The trailer that was also released during Comic Con can be viewed below. Legacies premieres on the CW on Thursday October 25th at 9/8c.